A classical fireplace is easily captured when you have the appropriate style of logs. 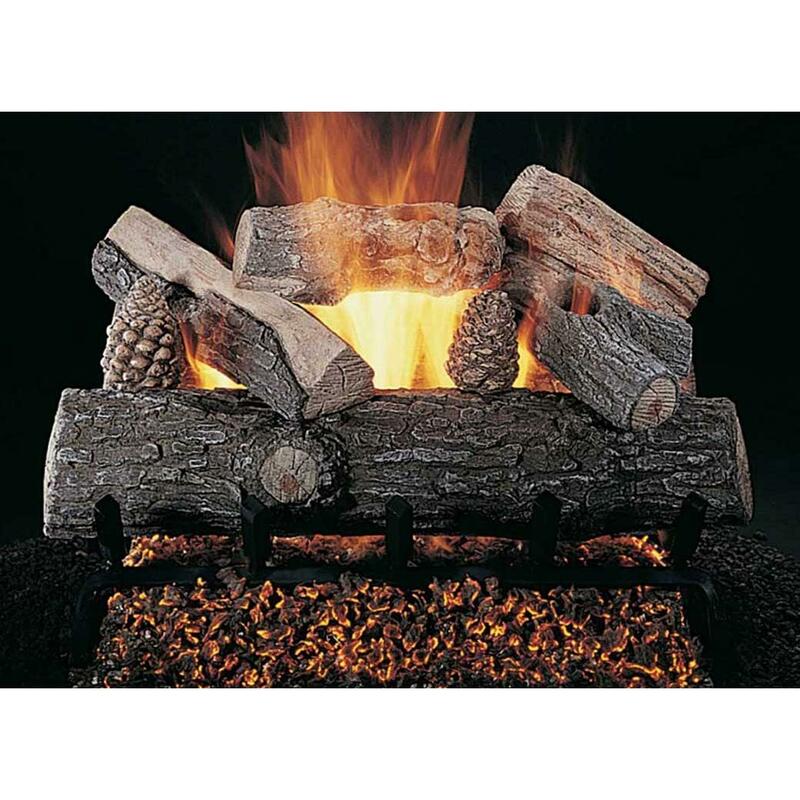 The Lone Star log set is effortlessly beautiful and ideal for making your fireplace the centerpiece of every occasion. Exquisite bark and split surfaces that are hand painted and finished with detailed coloration that mocks real wood pieces. This vented flaming ember burner is a single tube burner that produces a beautiful, dancing, variable flame. This burner has been tested and will meet the ANSI standard certifications and is only for use in fully functioning wood-burning fireplaces. This set comes ready to accept a hand held remote control device to be able to turn it on without having to kneel down by your fireplace each time. (Hand held device not included) This pilot kit is factory installed for use with the included ANSI Certified burner.